JUST IN CASE YOU DIDN'T NOTICE ! 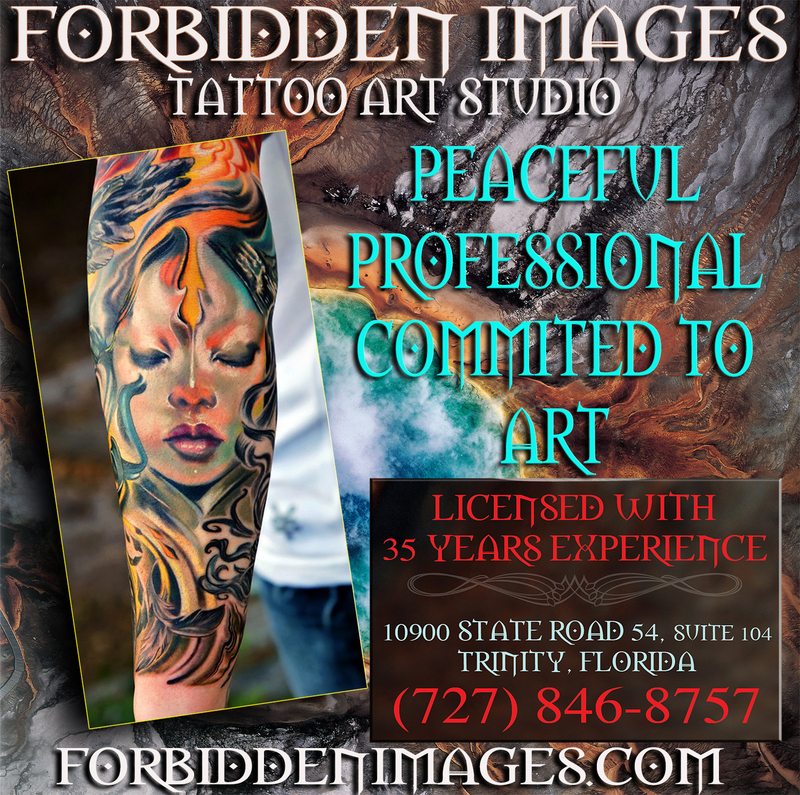 All of us at FORBIDDEN IMAGES TATTOO ART STUDIO, have been working very hard creating amazing art and tattoos to our great and suportive clientele. We are proud to be the most stablished studio. Our NEW location in Trinity is going into 4 years now. But with the unmatched established time of 39 years in the Tampa bay area. Also proud to have a very diverse group of Artists taking any artistic request. Our Artists are: LITOS, STEVE CORNICELLI,FRANK LEWIS & STEFANEE SCHOFIELD. We are always available to discuss any new project, so visit our Studio and see for yourself why we are so passionate about what we do for a living. ART, FULLFILLING YOUR DREAMS !